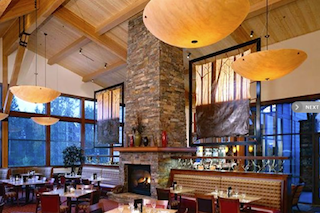 Trilogy at Redmond Ridge blends with the natural surroundings in beautiful western Washington. Set on the outskirts of Seattle, Washington, Trilogy at Redmond Ridge is an elegant community designed for active adults aged 55 or better. This Shea Homes community features spectacular views of the Cascade Mountains, an amenity-rich clubhouse and outdoor recreations including an 18-hole championship golf course. It also has a prime location just 20 miles from downtown Seattle. Trilogy at Redmond Ridge was built by Shea Homes between 2001 and 2014. Now that the community is complete, it includes 1,574 single-family homes, as well as a wide range of resort-style amenities. Just outside of the community, nearby retail centers also offer shops, restaurants and convenient services. 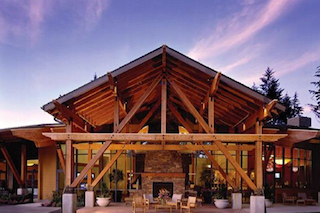 Indoor and outdoor amenities in Trilogy at Redmond Ridge are largely centered around the Cascade Club. This 32,000 square-foot facility was designed for social, physical and mental well-being. Residents can socialize in the Grand Living Room, enjoy friendly competition in the cards and billiards rooms, express their creativity in the arts and crafts studio, and attend community activities in the ballroom or Crystal Event Room. They can also expand their horizons with a variety of classes offered in the University of Washington Center for Learning. The inviting Crooked Spoon Restaurant offers breathtaking views and elegant on-site dining. When it comes to staying physically fit, residents can visit the spacious fitness center. This state-of-the-art facility offers cardiovascular and strength-training equipment, an aerobics and dance studio, an indoor walking track and an indoor lap pool and spa area. After a challenging workout, the Tranquility Spa provides a full range of spa services. Outdoors, Trilogy at Redmond Ridge amenities include a spacious patio, scenic walking trails and four lighted tennis courts. Resident golfers can also enjoy discounted membership at The Golf Club at Redmond Ridge. The golf club features an 18-hole championship golf course, a full-service pro shop and the Crooked Spoon Restaurant. Homes in Trilogy at Redmond Ridge were originally built in several models spread across four distinct collections. These single-family homes include floor plans sized from 1,295 to 3,082 square feet. They typically include two or three bedrooms, two to three-and-a-half bathrooms, dens and two or two-and-a-half-car garages. The smallest floor plan has just one bedroom and a separate den. Although homes feature many different layouts, they commonly include open floor plans and master bedroom suites with large walk-in closets. Some models were available with second-story lofts for extra living space, yet these designs still have first-floor master bedroom suites. While new construction homes are no longer available, homebuyers can find homes on a resale basis. Active adults in the Seattle area will find impressive grounds, resort-style amenities and beautiful homes in Trilogy at Redmond Ridge.